Jim Lacefield knows Alabama mountains inside and out, and this Sunday, Jan. 18, he'll lead an expedition through Red Mountain Park and deep into time. Lacefield, a retired adjunct professor of biology and Earth Sciences at University of North Alabama, is the author of Lost Worlds in Alabama Rocks, a guide to Alabama's geology. More than that, Lacefield's book traces Alabama's journey through millennia of continental collisions, seas rising and falling, mountains building and wearing away. It's a story found in the fossil and written in rock layers. The book was recently republished in a revised and expanded second edition. 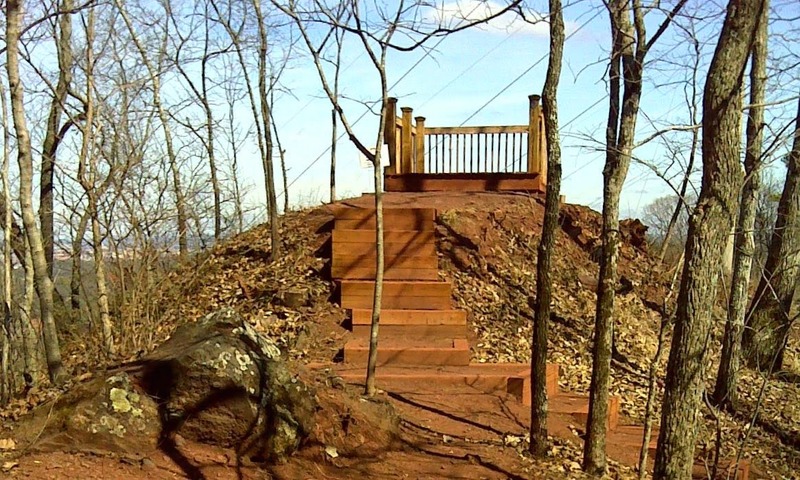 There are few places in Alabama where geology is more important than at Red Mountain, the source of the iron ore that build the iron and steel industry in Birmingham. Lacefield's visit is part of the Friends of Red Mountain Park's hike series, guided walks held the third Sunday of each month at 2 p.m. Sunday afternoon. Come on out and join us. We'll be hiking to site of ore mines and out to Grace's Gap, the high spot at the eastern end of the park, where you can get a great view with the city skyline in the distance. The hike will cover somewhere between 3 and 4 miles.